Dr. Speiser did her undergraduate work at Brandeis University, Waltham, MA. She received her MD from Columbia University, The College of Physicians & Surgeons, New York, NY in 1979. Dr. Speiser went on to complete her internship & residency in Pediatrics at The Bronx Municipal Hospital Center, Albert Einstein College of Medicine, Bronx, NY, followed by a research fellowship in Pediatric Endocrinology at Cornell University Medical Center. After two years as a fellow, Dr. Speiser was appointed as assistant professor of Pediatrics in the Department of Pediatrics at Cornell, where she also held the position of assistant program director of the Children’s Clinical Research Center. Dr. Speiser joined Northwell Health in 1993. In addition to her role at The Feinstein Institutes, she holds the positions of professor of Pediatrics at the Zucker School of Medicine and chief of the Division of Pediatric Endocrinology at Cohen Children’s Medical Center of New York. Dr. Speiser has had a long-standing interest in congenital adrenal hyperplasia (CAH) and related disorders. 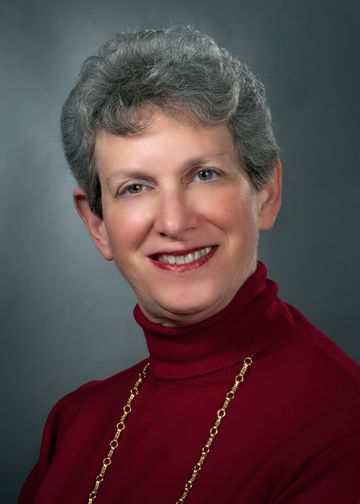 She served as Chair of The Endocrine Society Task Force for Clinical Practice Guidelines for CAH and is on the Medical Advisory Boards of The CARES Foundation and the National Adrenal Diseases Foundation. Other clinical research interests include childhood growth, obesity and diabetes. Dr. Speiser has received foundation funding to study the natural history of diabetes risk factors in middle school children as part of a consortium of several metropolitan New York are hospitals, and has participated in TRIALNET, a multicenter diabetes trial sponsored by The National Institutes of Health. Dr. Speiser is currently involved in an NIH-sponsored multicenter clinical trial to test the safety and efficacy of a novel drug for congenital adrenal hyperplasia in children. Our team is also participating in a study sponsored by Rhythm Pharmaceuticals to identify youngsters with genetic traits predisposing to early onset obesity. Such individuals may qualify for a novel type of drug treatment. Speiser PW. “Invited editorial: Growth and development: Congenital adrenal hyperplasia-glucocorticoids and height.” Nature Rev Endocrinol 2010; 6: 14-15. Speiser PW, Azziz R, Baskin LS, Ghizzoni L, Hensle TW, Merke DP, Meyer-Bahlburg HFL, Miller WL, Montori VM, Oberfield SE, Ritzen M, White PC. “Congenital adrenal hyperplasia due to steroid 21-hydroxylase deficiency: An Endocrine Society Clinical Practice Guideline.” J Clin Endocrinol Metab 2010; 95: 4133-4160. TODAY Study Group (Speiser P, collaborator). “Design of a family-based lifestyle intervention for youth with type 2 diabetes: the TODAY study.” Int J Obes (Lond). 2010 ;34:217-26. Rosenbaum M, Accacha SD, Altschuler LA, Carey DE, Fennoy I, Lowell BC, Rapaport R, Speiser PW, Shelov S. “The reduce obesity and diabetes (ROAD) project: Design and metholodogical considerations.” Childhood Obesity. 2011; 223-234. Copeland KC, Zeitler P, Geffner M, Guandalini C, Higgins J, Hirst K, Kaufman FR, Linder B, Marcovina S, McGuigan P, Pyle L, Tamborlane W, Willi S; TODAY Study Group (Speiser P, collaborator). “Characteristics of adolescents and youth with recent-onset type 2 diabetes: the TODAY cohort at baseline.” J Clin Endocrinol Metab. 2011;96:159-67. TODAY Study Group (Speiser P, collaborator), Wilfley D, Berkowitz R, Goebel-Fabbri A, Hirst K, Ievers-Landis C, Lipman TH, Marcus M, Ng D, Pham T, Saletsky R, Schanuel J, Van Buren D. “Binge eating, mood, and quality of life in youth with type 2 diabetes: baseline data from the TODAY study.” Diabetes Care. 2011;34:858-60. Conroy R, Espinal Y, Fennoy I, Accacha S, Boucher-Berry C, Carey DE, Close S, DeSantis D, Gupta R, Hassoun AA, Iazetti L, Jaques FJ, Jean AM, Michel L, Pavlovich K, Rappaport R, Rosenfeld W, Shamoon E, Shelov S, Speiser PW, Ten S, Rosenbaum M. “Retinol Binding Protein 4 is Associated with Adiposity-Related Co-Morbidity Risk Factors in Children.” J Pediatr Endocrinol Metab 2011; 24: 913-919. Boucher-Berry C, Speiser PW, Carey DE, Shelov SP, Accacha S, Fennoy I, Rapaport R, Espinal Y, Rosenbaum M. “The relationship between Vitamin D, osteocalcin, and risk for adiposity comorbidities in middle school children.” J Bone Mineral Research 2012; 27: 283-293. TODAY Study Group*, Zeitler P, Hirst K, Pyle L, Linder B, Copeland K, Arslanian S, Cuttler L, Nathan DM, Tollefsen S, Wilfley D, Kaufman F. N Engl J Med. 2012 Jun 14;366(24):2247-56. (*P. Speiser listed in supplementary appendix under Clinical Centers, Columbia University). Rosenbaum M, Fennoy I, Accacha S, Altshuler L, Carey DE, Holleran S, Rapaport R, Shelov SP, Speiser PW, Ten S. “Racial/ethnic differences in clinical and biochemical type 2 diabetes mellitus risk factors in children.” Obesity. 2013; 21:2081-2090. Accacha S, Rosenfeld W, Jacobson A, Michel L, Schnurr FJ, Shelov S, Ten S, Boucher-Berry C, Carey DE, Speiser PW, Lowell B, Conroy R, Klein M, Fennoy I, Rapaport R, Rosenbaum M. “Plasma advanced glycation end products (AGEs), receptors for AGEs and their correlation with inflammatory markers in middle school age children.” Hormone Research in Pediatrics. 2013; 80:318-327 DOI: 10.1159/000354831. Kuryan R, Frankel D, Cervoni B, Koltun A, Lowell B, Altshuler L, Rosenbaum M, Shelov SP, Carey DE, Accacha S, Fennoy I, Rapaport R, Rosenfeld W, Ten S, Speiser PW. “Effects of parental origins and length of residency on adiposity measures and nutrition in urban middle school students: a cross-sectional study.” International Journal of Pediatric Endocrinology. 2013; 16 e-publication. DOI: 10.1186/1687-9856-2013-16. Sosenko JM, Skyler JS, Beam CA, Krischer JP, Greenbaum CJ, Mahon J, Rafkin LE, Matheson D, Herold KC, Palmer JP, (Speiser PW, Study Group Member). “Type 1 Diabetes TrialNet and Diabetes Prevention Trial–Type 1 Study Groups. Acceleration of the loss of the first-phase insulin response during the progression to type 1 diabetes in diabetes prevention trial-type 1 participants.” Diabetes. 2013;62:4179-83. Sosenko JM, Skyler JS, Palmer JP, Krischer JP, Yu L, Mahon J, Beam CA, Boulware DC, Rafkin L, Schatz D, Eisenbarth G, (Speiser PW, Study Group Member). “Type 1 Diabetes TrialNet Study Group; Diabetes Prevention Trial-Type 1 Study Group. The prediction of type 1 diabetes by multiple autoantibody levels and their incorporation into an autoantibody risk score in relatives of type 1 diabetic patients.” Diabetes Care. 2013; 36:2615-20. Klein M, Iazzetti L, Speiser P, Carey D, Shelov S, Accacha S, Fennoy I, Rosenbaum M, Rapaport R. “Alanine transferase: An independent indicator of adiposity related comorbidity risk in youth.” J Diabetes. 2014; DOI: 10.1111/1753-0407.12221. Gabriel L, Pettei MJ, Carey DE, Frank GR, Kreitzer PM, Speiser PW. “Pediatric endocrinologists’ practices in screening for celiac disease in patients with type 1 diabetes.” Journal of Diabetes Research & Clinical Metabolism. 2015; 4: 1-7. http://dx.doi.org/10.7243/2050-0866-4-1. Sosenko JM, Skyler JS, Beam CA, Boulware D, Mahon JL, Krischer JP, Greenbaum CJ, Rafkin LE, Matheson D, Herold KC, Palmer JP; Type 1 Diabetes TrialNet and Diabetes Prevention Trial–Type 1 Study Groups (Speiser PW, Study Group Member). “The development and utility of a novel scale that quantifies the glycemic progression toward type 1 diabetes over 6 months.” Diabetes Care. 2015;38(5):940-2. Onengut-Gumuscu S, Chen WM, Burren O, Cooper NJ, Quinlan AR, Mychaleckyj JC, Farber E, Bonnie JK, Szpak M, Schofield E, Achuthan P, Guo H, Fortune MD, Stevens H, Walker NM, Ward LD, Kundaje A, Kellis M, Daly MJ, Barrett JC, Cooper JD, Deloukas P; Type 1 Diabetes Genetics Consortium, Todd JA, Wallace C, Concannon P, Rich SS (Speiser PW, Study Group Member). “Fine mapping of type 1 diabetes susceptibility loci and evidence for colocalization of causal variants with lymphoid gene enhancers.” Nat Genet. 2015; 47:381-6.